Sales. It’s a complicated dance. The good stuff is out there. But where, exactly? And what obstacles stand in the way? Honey bees have an elegant solution: They dance to communicate the quality, quantity, and location of a nectar source to their hive mates. Then the bees work together to bring home their sustenance. hive ® draws its inspiration from those impressive creatures. It’s a real-time mobile collaboration tool—an app that allows sales colleagues to team up, ask and answer questions, and overcome client objections on the spot. With web, smartphone, and widget versions, you can access hive anywhere, any time, to communicate with your top bees on the way to closing deals. After all, a thriving hive lifts all bees. Build and manage a hive (or multiple hives) using your current contacts app. Buzz out questions to bees in your hive. Get answers right away. See real-time questions from bees in your hive. Buzz them back. Automatically build a searchable comb, or knowledge base, and refer to it later. Snap in existing knowledge bases and forums for search and reference. The hive feature set is essentially identical, no matter how you access the hive app. • Build and manage a hive (or multiple hives) using your current contacts app. 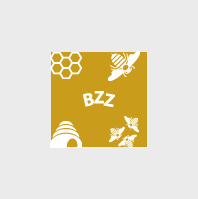 • Buzz out questions to bees in your hive. Get answers right away. 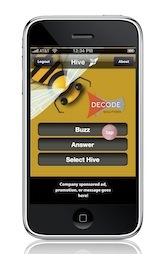 • See real-time questions from bees in your hive. Buzz them back. • Automatically build a searchable comb, or knowledge base, and refer to it later. • Snap in existing knowledge bases and forums for search and reference. Keep in touch with your bees, whether you’re at work or home. View, manage, and buzz your hive community securely from any computer or tablet. Your bees are always with you—on the road, in meetings, at conferences and events. 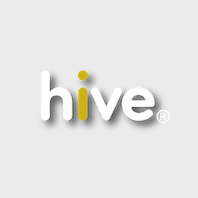 The hive apps for iPhone, Android, and iPad combine the reach of social networking with the immediacy of texting and push notification. Collaborate securely with your top team members, anywhere, any time. Built for PC users, the hive desktop widget keeps hive running subtly in a small footprint on your screen. Access the app’s full feature set. See buzzes as they happen and choose when to buzz back. Decode Solutions® is the creator of hive®—an enterprise application that helps sales teams close deals faster. Based in Raleigh, N.C., Decode Solutions also produces mobile applications for iOS and Android devices. We provide technology consulting to leading industry and manufacturing companies worldwide. Decode Solutions was formed in 2008 to build mobile technology solutions. We have produced iOS applications for OpenMyVideo, Scan Source, DCI Group, Celadon, Caterpillar. Decode Solutions has produced iOS applications for OpenMyVideo, Scan Source, and DCI Group. Our applications have been integrated with social networking sites Twitter and Facebook. We have experience implementing advanced features such at augmented reality, video encoding, compression and video transfer. about the issues you care about. Record, Send, and Upload video directly to our video storage cloud. The iPhone application allows users to send video from the iPhone video gallery, record new video, or resend videos that have already been stored at OpenMyVideo.com. 96 seconds…versus just 8 seconds? How long would you prefer your constituents to listen to your messages? * Nearly 64% of viewers watched vmail through to the end. * More than a third of recipients (33.42%) clicked on a call-to-action link in vmail. We’re a small company in Raleigh, NC, doing something really big. Your office can get in on vmail today and send striking, professional video messages to thousands of users, delivering your voice, face, and message. The CongressConnect iPhone application was designed by DCI Goup. It provides contact data for Members of Congress, and it allows users to view Twitter messages from both general Twitter users and all the Members of Congress with Twitter accounts listed in the application. Congressional contact information is viewable in an augmented reality mode. Details about Members of Congress are displayed in a simple table view with swipe navigation. In addition to contact information, the application will look up, filter, and present data on Members of Congress and voting history. 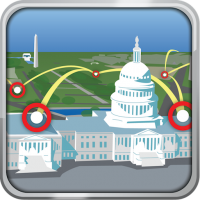 CongressConnect also has a virtual tagging feature that allows its users to leave small messages (up to 140 characters) at specific geo-locations. The application uses Twitter’s API to message other Twitter users and view tweets from surrounding Twitter users within a pre defined are/radius (GPS location).